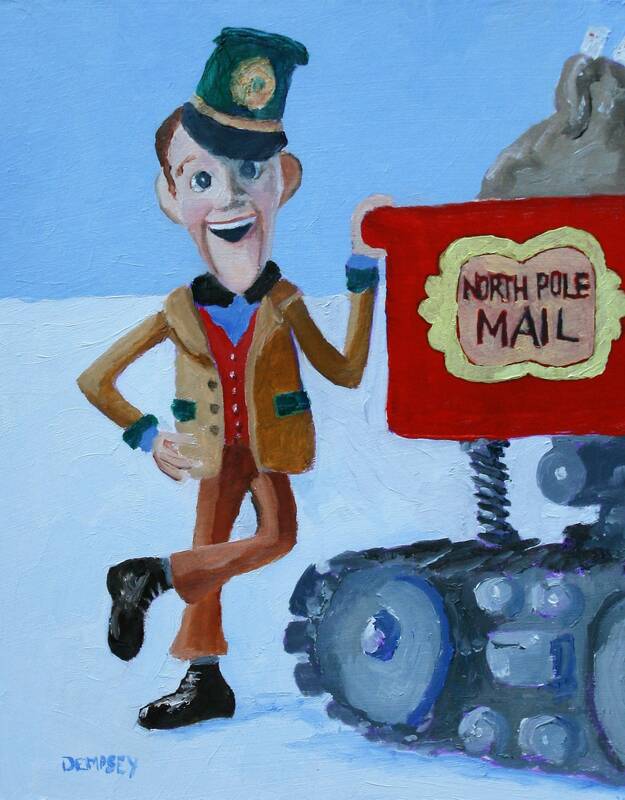 Special Delivery "SD" Kluger is the narrator of Santa Claus is Comin' To Town. He looks a lot like Fred Astaire, although his expressions are more ...uhhhm… wooden? SD clears up mysteries like Santa's multiple names...Kringle...Claus, etc. How he met Mrs. Claus. How did reindeer really learn how to fly. etc etc. The painting was 8 inches wide by 10 inches high. It was an original oil on a board. Depending on one's perspective, it is either fortunate or unfortunate that it sold already. I can offer a print that is 8x10. It is matted, so the final dimensions are 11x14.